Let first know about the Fundraising word. This is the process of gathering voluntary contributions of money or other e-source, by requesting funds from individuals, businesses, charitable foundations, or governmental agencies. The fund-raising is nothing but the effort for gathering the fund for any type of project. Fundraising is a very important way to get the money for their operations. The organization can be profit-making or non- profit organization. The non-profit organization used the money for some cause or for development. The nonprofit organization uses the money for the welfare of the society. For example, a charity group used to collect the money for the welfare of students, old person, poor people etc. They spend that funds for the education of the student, providing the scholarship to the needy student, helping the old people for their livelihood and providing the money to the poor people so they can get basic things that are required for the living. The profit-making organization needs fundraising to develop the project which going to make money for the organization. In this, there will an individual or group of individuals and they have a very strong idea & project which would be profit making. So they used to interact with the investor and explain their ideas to them and ask them for investing in the project and share the profit. Crowdfunding is very much strong online tool for the fundraiser. It is just much similar to Facebook on which different types of videos, images, and project are posted daily. If the investor has an interest in them they used to invest in the particular project. It would be for profit making organization and for non-profit making organization. In this method, the fund-raiser contact the investor through the mails and they used to explain about there project on the mail and asked them for the investment and this could for profit making organization or for non-profit making organization. Peer-to-peer fundraising is a very popular approach for your well-wishers to raise the fund on your nonprofit organization’s behalf. In which our supporter community can use their power to quickly reach its fundraising aim by making new connections peer. Event donation is the most popular idea of fundraising. By organizing the events like walkathon, gala or charity auction, the organizer can collect the fund. 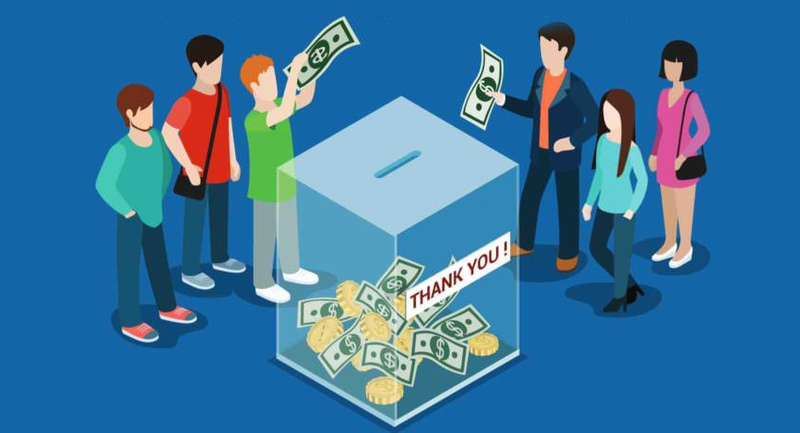 In this method individual or group directly ask individual supporters for money. It is best to clearly articulate what you are raising money for when individual ask. When making your list, work outward from individual closest, best known potential supporters—former commission members, people you have worked with, recipients of awards, etc. Events can range from small to large. Large events provide more visibility but take more effort to do well. Events can raise money from Lunches, brunches, or dinners. An individual can have a meal event. These can make money, but costs must be controlled rigorously. They also require a dedicated committee to plan and execute location and food contracts. These large events are great for exposure. An individual may even be able to get press. A foundation grant is the most valuable thing in fundraising. In which individuals, companies, government, and other organizations provide free monetary assistance. The private foundation provides the grant for education, healthcare, natural disasters and etc. The CEO of leading and professional mobile app development company, Logicspice that provides services of website design, website development, E-commerce web designing, software development, graphics design, ready to install scripts, PHP programming, android and iPhone app development and SEO services worldwide. I have a passion for helping people in all aspects of custom website and mobile app development updates through the expert industry coverage i have for the last 12 years.